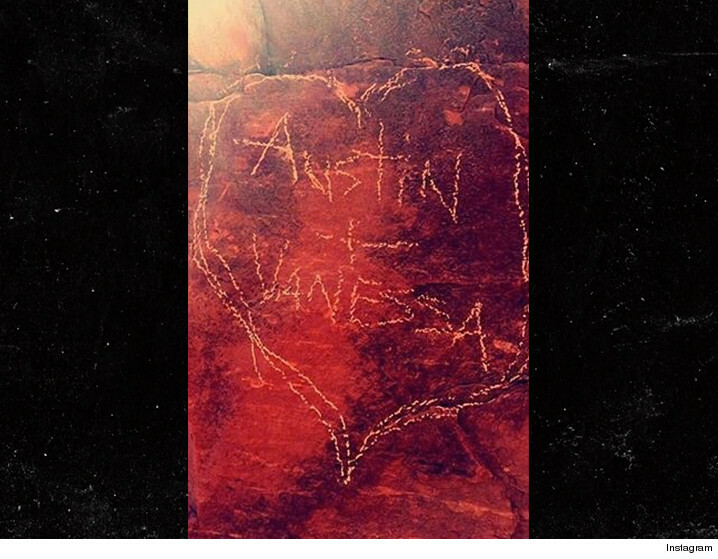 Vanessa Hudgens and her boyfriend are under investigation for defacing one of Arizona's most prized treasures ... TMZ has learned. 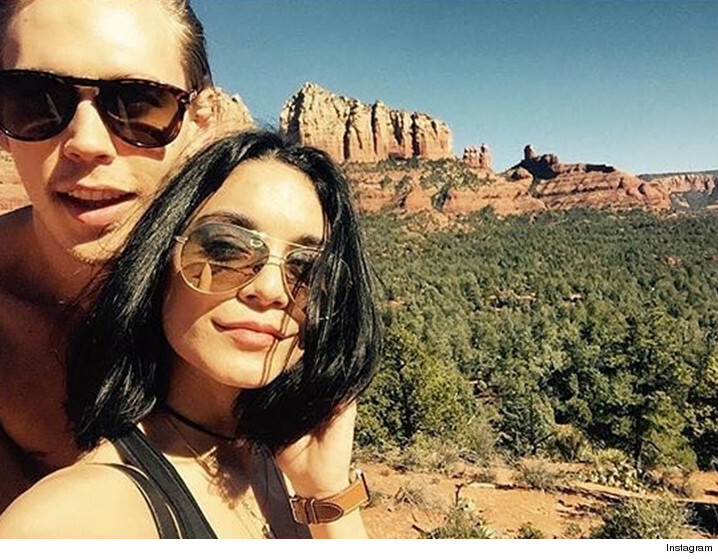 We're told the Red Rock Ranger District of the Coconino National Forest has its sights set on a rock formation which Vanessa and Austin Butler used to carve their names and a heart. There's a federal law specifically prohibiting anyone from "damaging natural surfaces or property of the United States." The rock in question is on U.S. land. Vanessa and her BF spent Valentine's Day weekend in Sedona, Arizona, a place known for its rock formations. She posted the pic on Instagram which triggered the investigation. The maximum punishment is harsh -- $5k and/or 6 months behind bars. It's unlikely Vanessa and Austin will do time, but a fine is certainly on the table.